Heat up the pan on high heat and add oil. 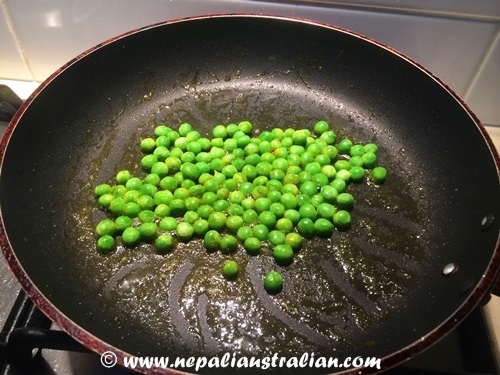 Add turmeric powder and peas and stir it for a minute or so. Add chopped tomatoes into the pan, stir it and cover it with a lid for 3-5 minutes. Do not forget to stir it in between. 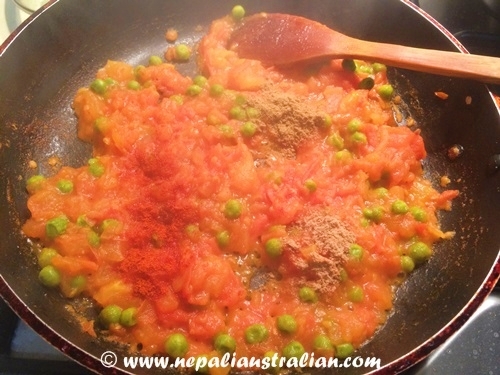 Once the tomatoes are mushy in texture, add chilli powder, salt to taste, coriander and cumin powder. Stir well and mash the tomatoes to give it a gravy texture. Add ¼ cup of water and let it simmer for 2-3 minutes on low heat. 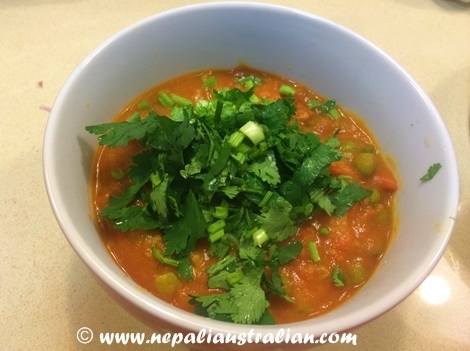 Place the achar in a bowl and garnish with fresh coriander. 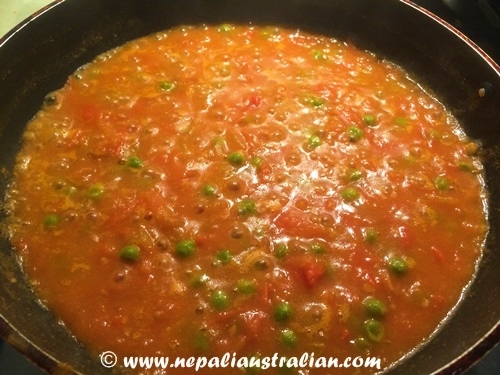 This entry was posted in Foodie, Nepali food, Recipe and tagged achar, australian, australian nepali, chopped tomatoes, easy achar, M from nepaliaustralian, Nepal, Nepali, nepali australian, Nepali blog, nepali food, Nepaliaustralian, nepaliaustralian blog, peas, red chilli powder, side dish, teaspoon coriander powder, teaspoon cumin powder, teaspoon turmeric powder, tomatoes, turmeric powder. Bookmark the permalink. Thank you so much Aarya ::). 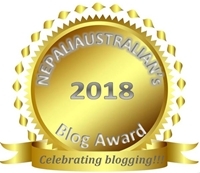 I am honored.